“The war that America is waging against Syria, against the people of the region and resistance and liberation movements, will not realize its goals,” it said in a statement. Hezbollah also lauded Syria’s air defense for confronting the missile attack launched earlier in the day. The United Kingdom’s Royal Air Force said four Tornado GR4s fighters jets joined in the operation, while France said it had deployed Mirage and Rafale fighter jets. 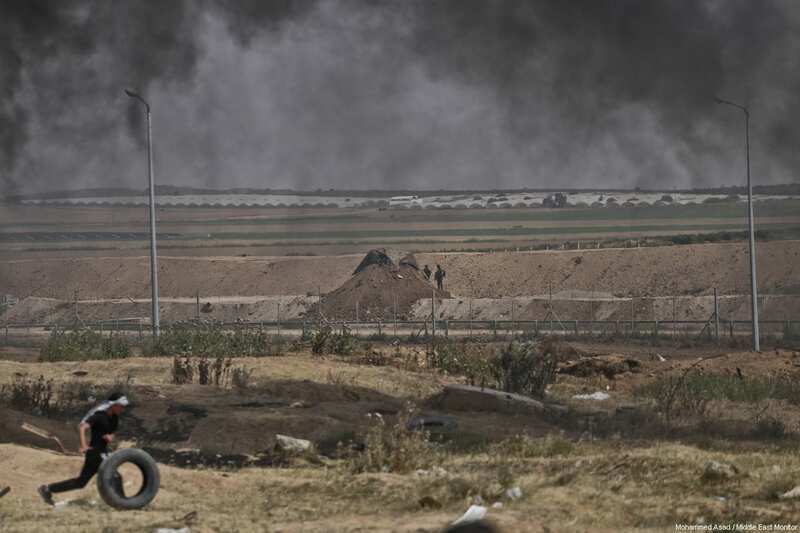 Four people were killed and others injured on Saturday in an Israeli artillery attack targeting a group of citizens who were riding a three-wheeled tuk tuk motorcycle east of Rafah, in the southern Gaza Strip. 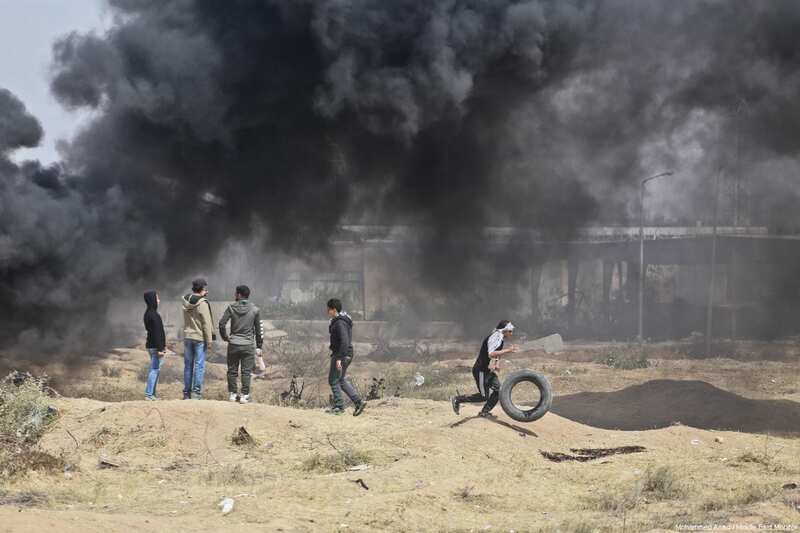 Eyewitnesses and a medical source in Rafah said that Israeli artillery shelled the eastern border of Rafah targeting a group of young men who were moving rubber tires near the eastern border of the city. 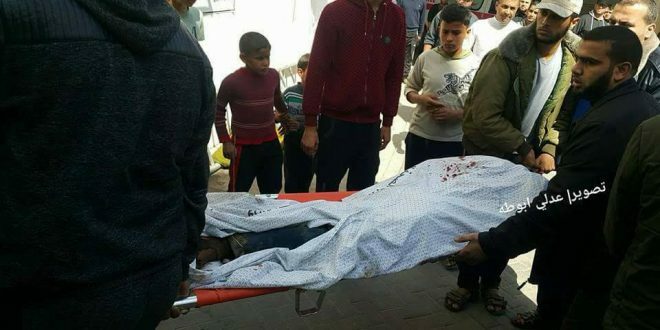 Dr. Ashraf al-Qadra the spokesman for the Ministry of Healt in Gaza said that 4 Palestinians were killed & several others wounded in different Israeli shelling, pointing out that the martyrs and injuries arrived to Abu Yousef al-Najjar hospitals. 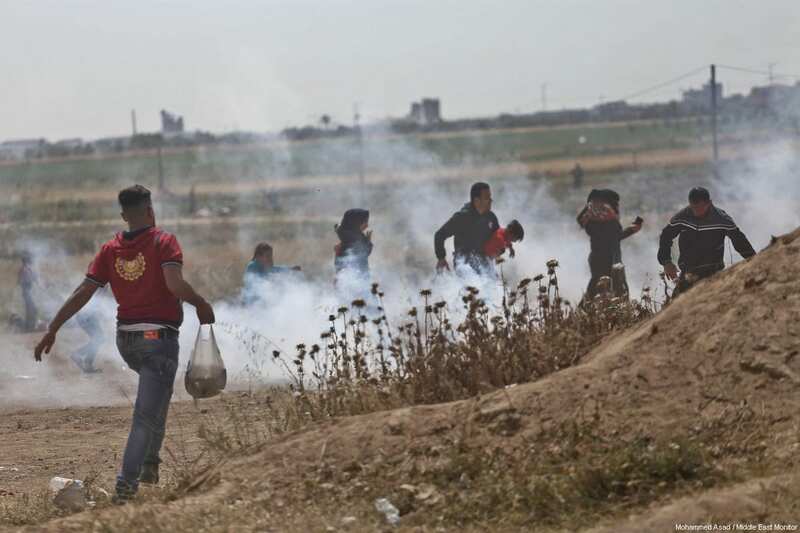 The Palestinian Press Photographers Committee calls on photojournalist committees around the world to support Palestinian photographers against as Israeli Occupation solders targeting them in the last weekes. 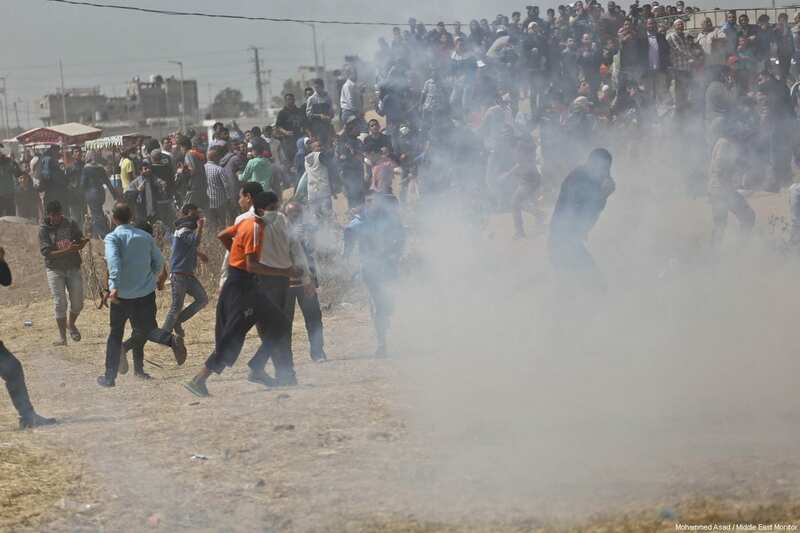 Palestinian Press Photographer Committee said two journalists, Ahmad Abu Hussein and Mohammad Hajjar, were shot and injured by live bullets in the abdomen and shoulder respectively as they were covering the protests at Gaza-Israel border. 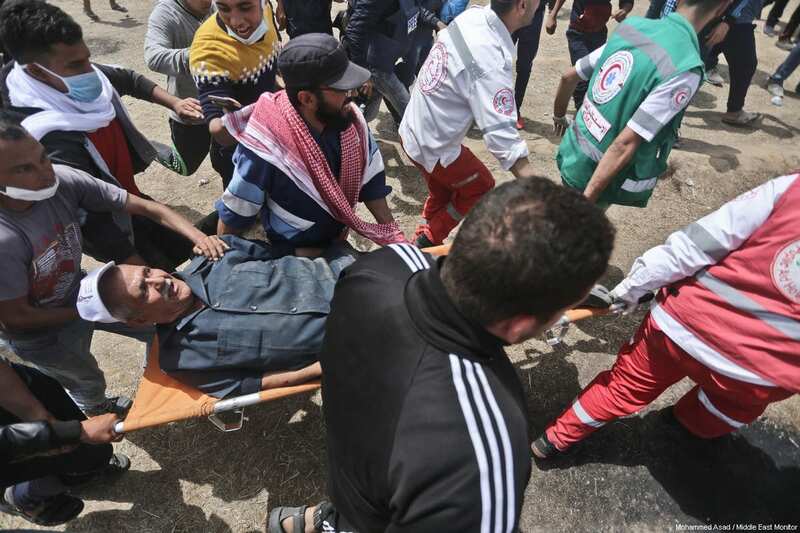 Abu Hussein’s injury was described as critical. 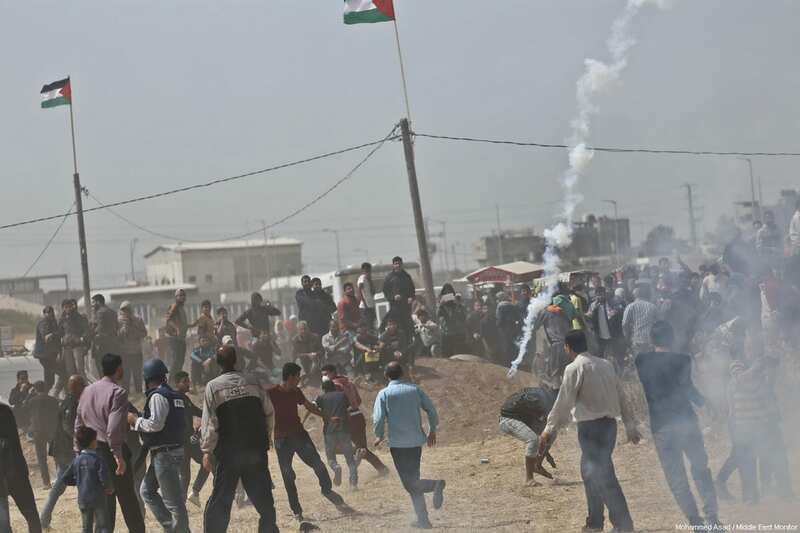 In a letter addressed to the International Federation of Journalists (IFJ) and press photographers committees around the world, the Palestinian photojournalist’s Committee of the Palestinian Journalists’ Syndicate (PCJ) called for supporting their colleagues in Palestine by organizing activities and activities that reject crimes targeting photographers in Palestine. 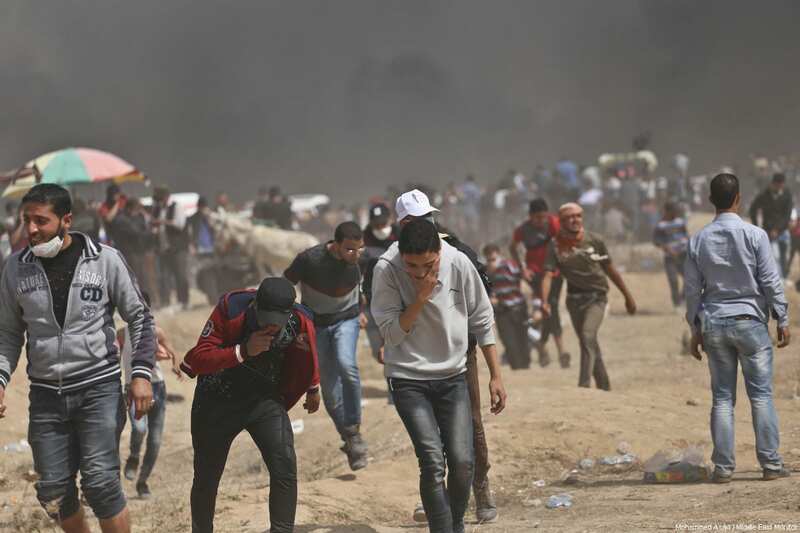 Palestinian Press Photographer Committee at the Journalists Syndicate denounces the deliberate targeting of Palestinian photographers working in the Gaza Strip. 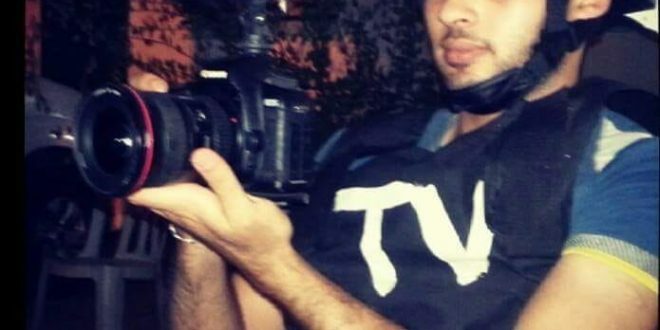 The photographer has been targeted in the last two weeks began when IOF targeting photographer Yaser Murtaja, photographer work at Ayoun media agency last Friday. 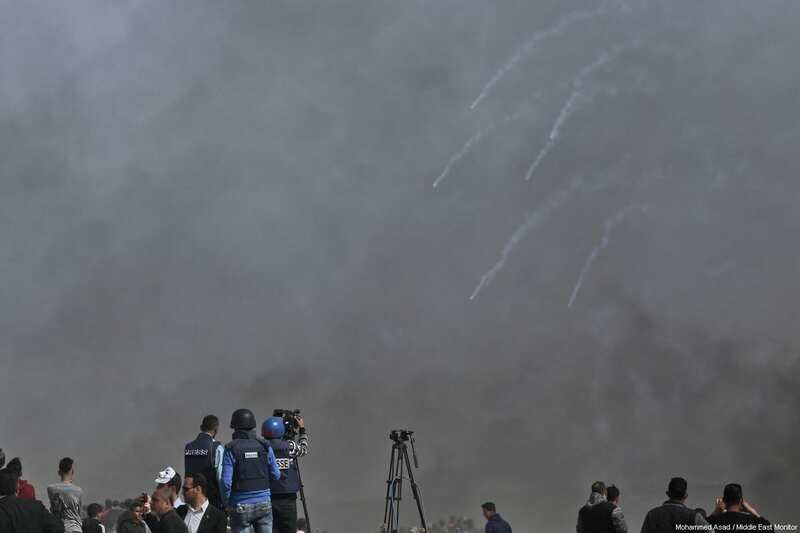 Palestinian Press Photographer Committee calls for a serious attitude by human rights organizations that sponsor freedom of the press and protect journalists. 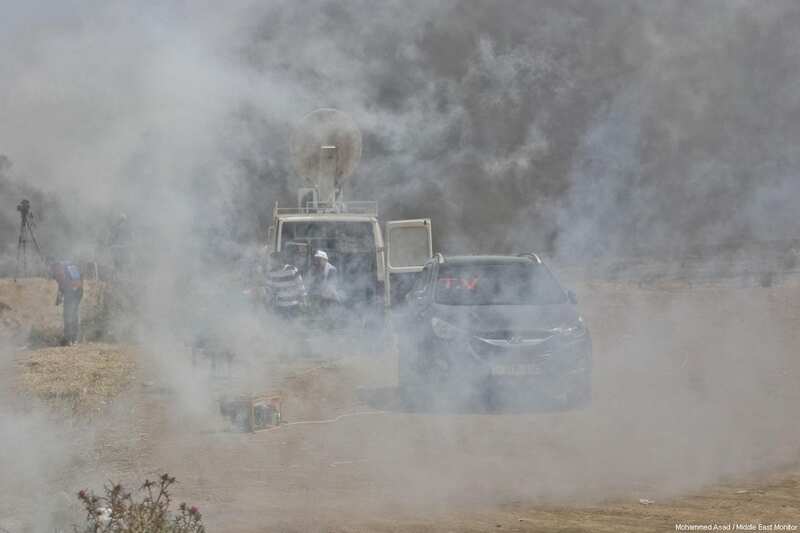 Palestinian Press Photographer Committee sees that there is an Israeli targeting intended to journalist & Photographer in recent days with Israeli government’s clear decision that came from the Israeli Prime Minister Benjamin Netanyahu and his Minister of occupation army Avigdor Lieberman. 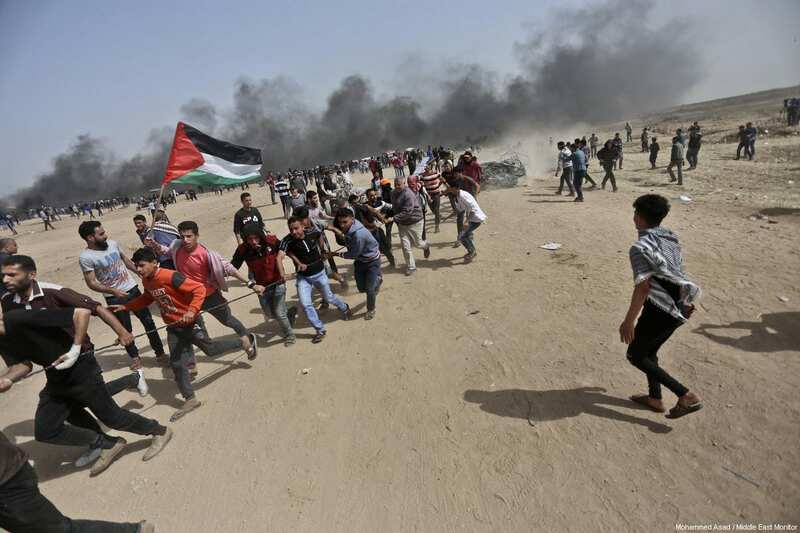 Palestinian Press Photographer Committee called on the International Federation of Journalists and Human Rights Organizations to send fact-finding and investigation committees to hold the occupation criminals accountable for their violations of human rights and journalists’ freedom by killing them. 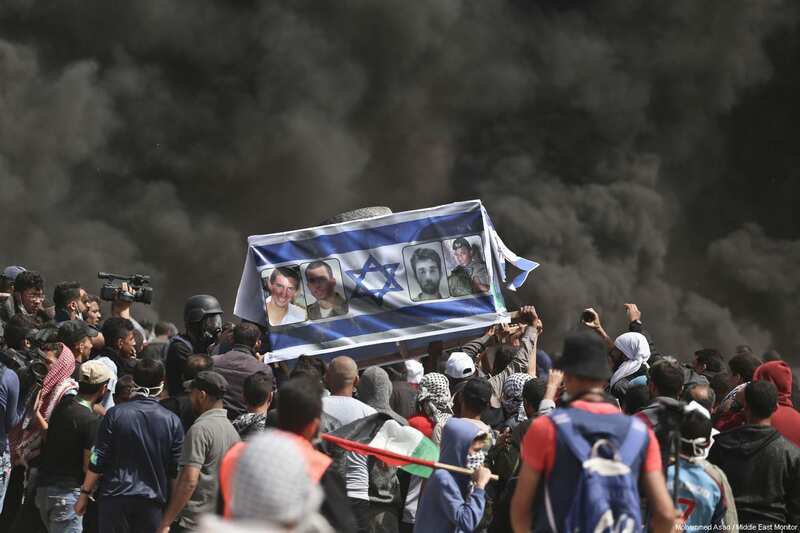 Protesters have set up tented camps near the frontier as a protest dubbed “The Great March of Return” – evoking a longtime call for refugees to regain ancestral homes in what is now Israel – moved into its third week. The media has already jumped at this opportunity to plunge western powers into yet another conflict in the Middle East, one that has no legal basis (especially if there is no evidence of Assad’s culpability). The Guardian is asking for Trump to destroy Syria’s air force. This is the same U.K.-based newspaper that deemed Trump’s election in 2016 to be a “dark day for the world.” His desire to strike Syrian territory would actually be a dark day for the Syrian people, but let’s not allow the facts get in the way of a great narrative. Whether or not we should brace ourselves for an extensive response from these three major world powers, there is at least one thing recent reports on Syria have successfully done to the current geopolitical narrative. 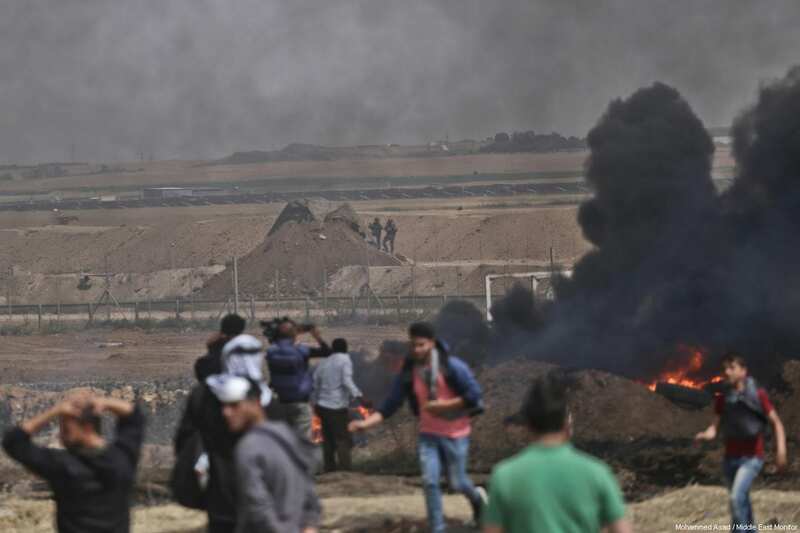 Prior to the media hype over Syria the past few days, Israel was beginning to make headlines across the world for its criminal activities in Gaza. 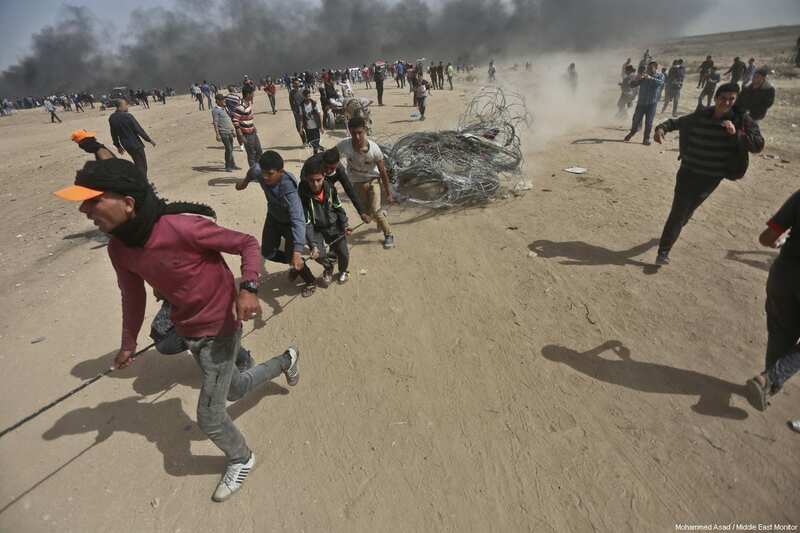 The U.N. even called for an inquiry into the violence in Gaza that saw IDF snipers kill at least 17 unarmed protesters and injure over 1,400 more. Even prominent pro-establishment outlets such as the Washington Post and Haaretz featured articles critical of what Israel was doing. 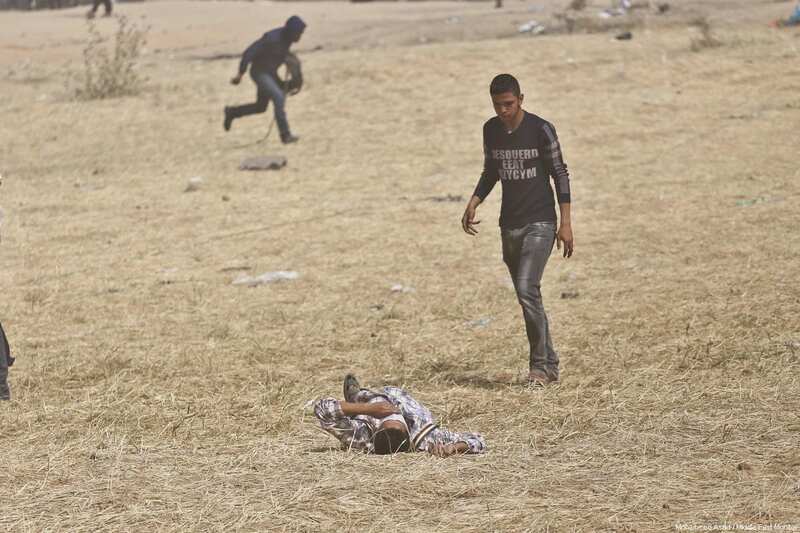 The International Criminal Court (ICC) has said Israel’s actions may amount to war crimes. 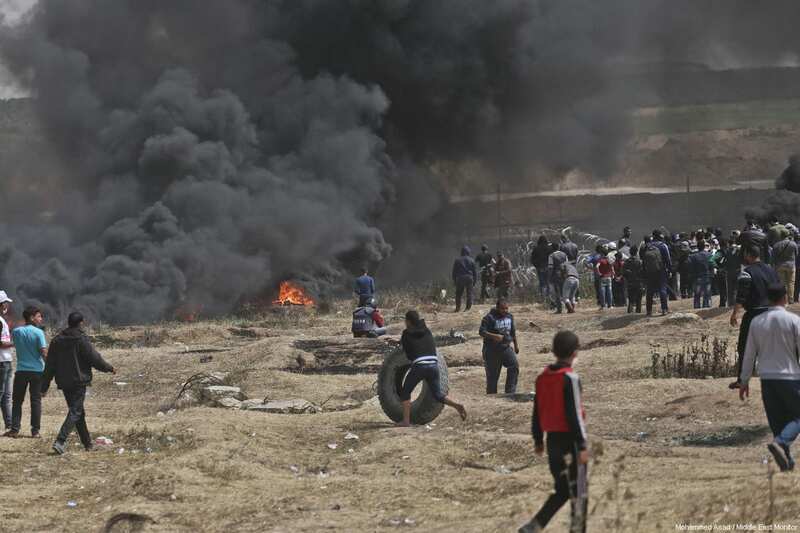 The thing is, however, that Israel doesn’t just simply need a distraction to stop people from talking about what it has already done the past few weeks (a complete deal-breaker for Israel) — it wants to keep on doing it. It is no surprise, therefore, that immediately in response to this alleged chemical weapons attack in Syria, it wasn’t the U.S. that struck Syrian government forces straight away – it was Israel. Israel doesn’t want the media to talk negatively or critically about what it is doing to the Palestinian people. It should be noted that this current conflict has been going on for quite some time. Israel has deprived two million residents in the Gaza Strip of access to basic clean water (97 percent is contaminated by sewage and salt). Israel reduced Gaza’s electricity intake to that of roughly 2-4 hours per day over the course of the past year. 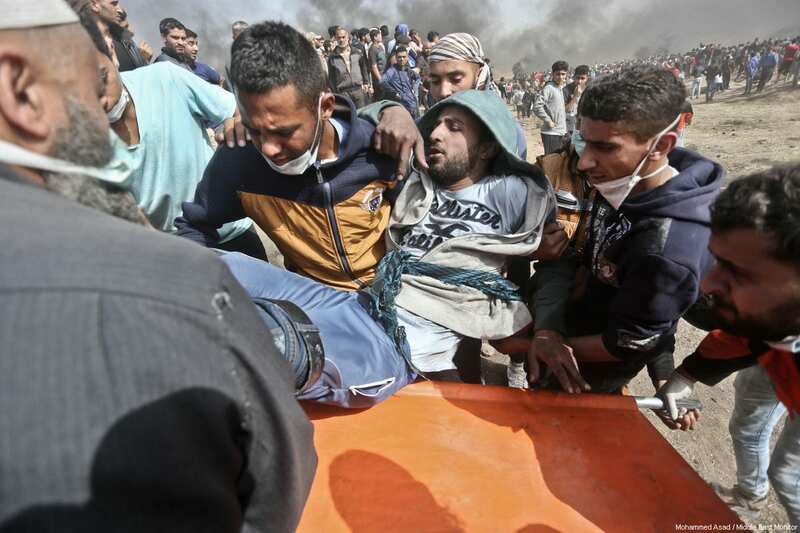 Since then, it has openly stepped up lethal air strikes on Palestinian territory, including multiple strikes over the course of this year, and the mainstream media has asked close to zero basic questions about these practices. 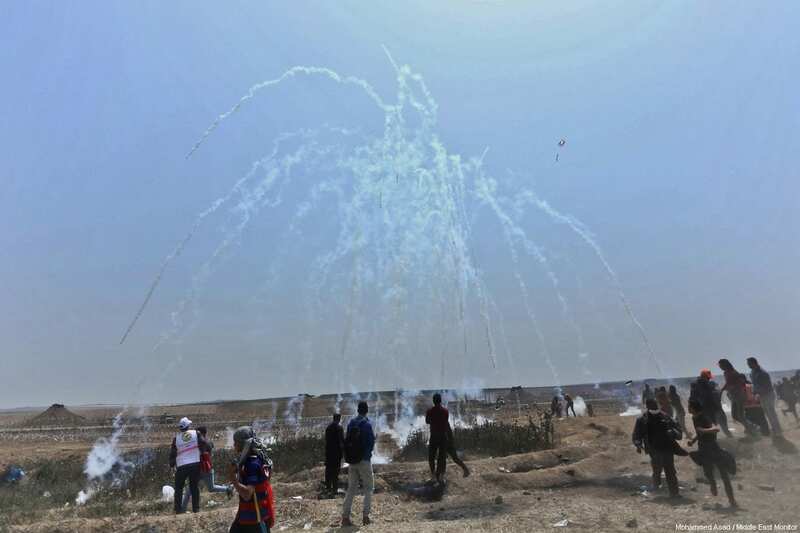 Gaza has no air force and no air defenses. 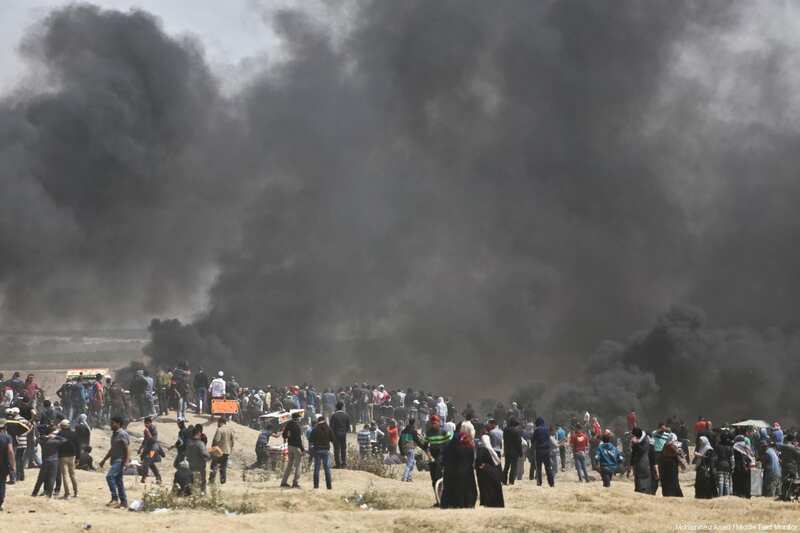 The people are protesting for the right to return to their land, and they are being shot down even on their side of the boundary. It is important to remember this because the U.S. and Israel want us to believe they are concerned about the human rights situation in Syria. 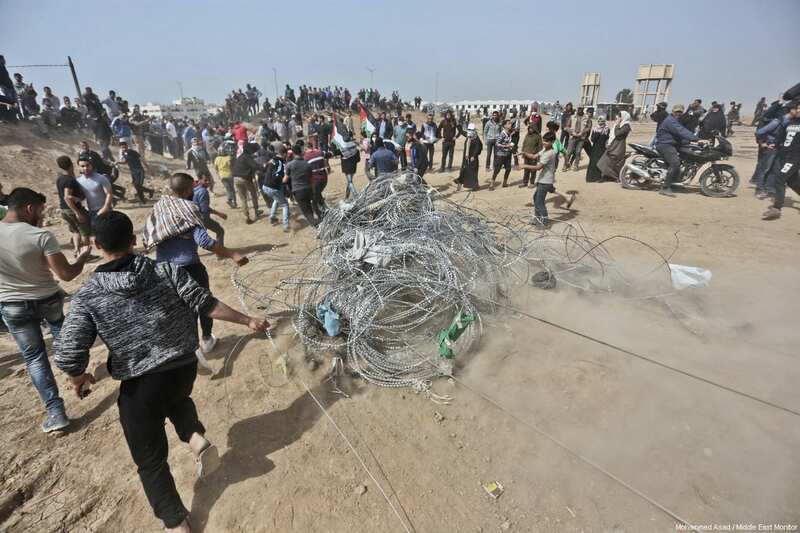 What better place to start than Gaza if the goal is actually to promote human rights and democratic institutions? Further, U.S. ally Saudi Arabia has been quietly raiding a Shiite area known as al-Awamiyah, which they all but turned into a war zone like Aleppo or Mosul last year. A Saudi soldier was even killed in its latest raid, though this has not been deemed newsworthy. As long as Syria dominates headlines, expect these issues to remain on the sidelines of acceptable discussion and for life for Palestinians and political dissidents in Saudi Arabia to continue as hellishly unabated as before. Perhaps this is why the U.S. is taking its time to respond — to maximize the potential of this distraction. Of course, knowing our luck, the current trajectory we are on may be used to kill two birds with one stone by not only putting the media focus back on Syria but also lethally ramping up the pressure on Syria, Russia, and Iran to disallow them from claiming what was quickly becoming a widespread victory for the Syrian government.